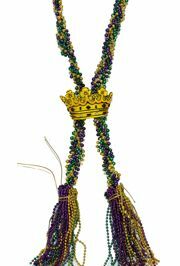 The King's Crown Braided Bead is 60in long. 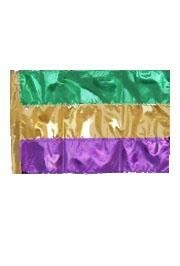 This long bead is braided with purple string beads, gold string beads, and green string beads. 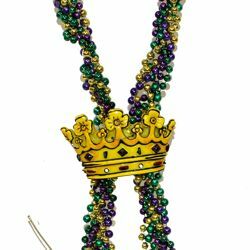 A gold King's Crown Medallion holds the beads together in the front. 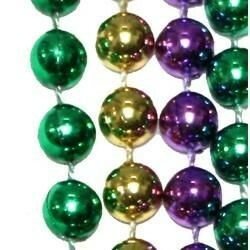 This is a great set of Mardi Gras beads. 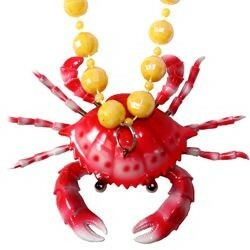 The bobbling Crab/Seafood necklace is 38 in long with yellow beads. 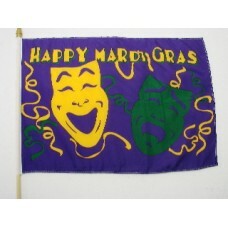 The medallion on this hand-strung specialty bead is 3-Dimensional. 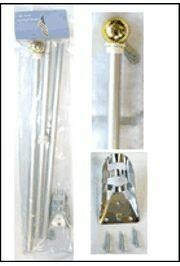 The claws and legs dance as you walk. 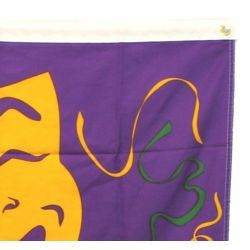 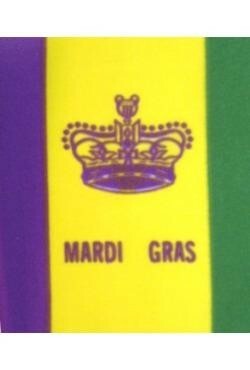 It makes a great Mardi Gras throw bead. 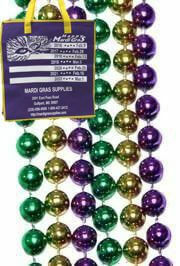 It is also a great bead to use at luau or Cajun themed parties. 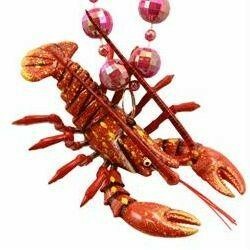 The Bobbling Crawfish/Lobster/Seafood Necklace is 38in long with 12mm pink beads. 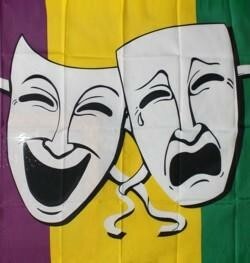 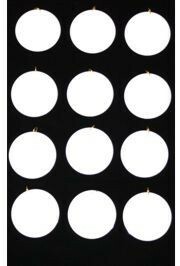 This hand-strung specialty bead is 3-Dimensional. 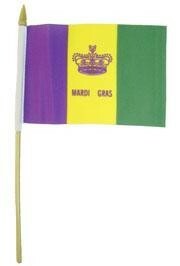 The crawfish, lobster bobbles as you walk. 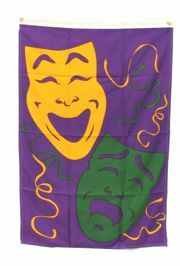 It makes a great Mardi Gras throw bead. 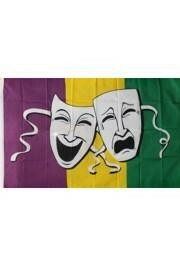 It is also a great bead to use at luau or Cajun themed parties.